Mary Snow was born in 1630 at French? She married Thomas Paine II., son of Thomas Paine, say April 1651. Mary Snow died on 28 April 1704 at Eastham, Barnstable, MA. Nickolas Snow immigrated in 1623. He married Constanta (Constance) Hopkins, daughter of Stephen Hopkins and Mary ( ) Hopkins, say 1628 at Plymouth probably, Plymouth Colony, MA. Nickolas Snow was employed. He died on 15 November 1676 at Eastham, Barnstable, MA. (an unknown value). Constanta (Constance) Hopkins was born in 1606 at Gloucester, Gloucestershire, England. She was baptized on 11 May 1606 at Hursley, Hampshire, England. She immigrated in 1620. She married Nickolas Snow say 1628 at Plymouth probably, Plymouth Colony, MA. Constanta (Constance) Hopkins left a will. She died circa October 1677 at Eastham, Barnstable, MA. Stephen Hopkins was born circa 1578 at Hampshire probably, England. He married Mary ( ) Hopkins at England. (an unknown value). Stephen Hopkins married Elizabeth Fisher on 19 February 1618 at Whitechapel, London, England. Stephen Hopkins immigrated in 1620. He died on 27 July 1644 at Plymouth, Plymouth, MA. Mary ( ) Hopkins was born at England. She married Stephen Hopkins at England. Mary ( ) Hopkins was buried on 9 May 1613 at Hursley, Hampshire, England. She died in 1613 at England. William Hopkins was born at England. He died on 10 September 1600 at England. Giles Hopkins was born in 1608 at England. He was baptized on 30 January 1608 at Hursley, Hampshire, England. He immigrated in 1620. He married Catherine Wheldens on 9 October 1639 at Plymouth, Plymouth, MA. Giles Hopkins died on 5 March 1689 at America. Elizabeth Fisher married Stephen Hopkins on 19 February 1618 at Whitechapel, London, England. Elizabeth Fisher immigrated in 1620 to Mayflower, Plymouth, MA. She died after 4 February 1638 at Plymouth, Plymouth, MA. Oceanus Hopkins was born in 1620 at aboard Mayflower. He died circa 1623. Joseph Claghorn was born on 21 April 1753 at Martha's Vineyard, Dukes, MA. He married Anna Mendall on 30 April 1786. Joseph Claghorn was employed at Homes Hole, MA. He died on 19 October 1805 at age 52. Anna Mendall was born on 14 May 1755. She married Joseph Claghorn, son of Benjamen Claghorn and Katherine Blackwell, on 30 April 1786. Benjamen Claghorn was born on 28 May 1722. He married Katherine Blackwell on 27 February 1746. Benjamen Claghorn was employed. He died on 9 June 1759 at drowned at sea at age 37. He was buried at Oak Bluffs, Dukes, MA. Katherine Blackwell was born on 16 August 1725. She married Benjamen Claghorn, son of Thomas Claghorn and Susannah Smith, on 27 February 1746. Katherine Blackwell died on 1 January 1804 at Oak Bluffs, Dukes, MA, at age 78. Thomas Claghorn was born on 20 March 1692. He married Susannah Smith, daughter of Esq. Smith. Thomas Claghorn lived at Martha's Vineyard, Dukes, MA. He was employed. He married Susannah Gibbs, daughter of Barnabus Gibbs, on 2 November 1732. Thomas Claghorn died on 10 February 1784 at age 91. Susannah Smith was born at Edgartown, Dukes, MA. She married Thomas Claghorn, son of Shubael Claghorn and Jane Lovell. Susannah Gibbs was born on 28 September 1712 at Sandwich, Barnstable, MA. She married Thomas Claghorn, son of Shubael Claghorn and Jane Lovell, on 2 November 1732. Susannah Gibbs died in November 1786 at age 74. Shubael Claghorn was born in 1656. He married Jane Lovell, daughter of John Lovell and Jane Hatch. Shubael Claghorn was naturalized on 31 July 1695. He died. Jane Lovell was born on 28 July 1670. She married Shubael Claghorn, son of James Claghorn and Abigail "Abia" Lumbard. James Claghorn was born on 30 August 1630 at Corstorphine Parish, Edinburgh, Scotland. He immigrated in 1650 to Yarmouth, Barnstable, MA. He married Abigail "Abia" Lumbard, daughter of Lt. Bernard Lumbard, on 5 January 1653 at Barnstable, Barnstable, MA. James Claghorn was employed. He was naturalized in 1657. He died in October 1683 at age 53. Abigail "Abia" Lumbard was born in 1630. She married James Claghorn on 5 January 1653 at Barnstable, Barnstable, MA. Abigail "Abia" Lumbard died on 21 August 1677. Lt. Bernard Lumbard was born in 1608 at Thorncombe, Dorset, England. He died in 1677. Robert Wood was born on 1 November 1845. He married Christiana McGregor, daughter of John McGregor and Catherine Gordon, in 1872. Robert Wood died on 14 March 1912 at age 66. Christiana McGregor was born on 29 November 1848. She married Robert Wood, son of James Wood and Elizabeth Riddell, in 1872. 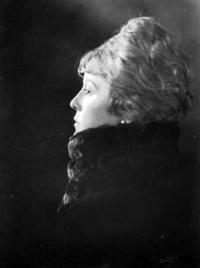 Christiana McGregor died on 24 April 1930 at age 81. Katherine E. Sheedy was born in May 1875 at Allegheny, Allegheny, PA. She was baptized on 14 June 1874 at St. Andrews, Northside, Allegheny, PA. She was buried in 1955 at St. Mary's Cemetery, Lawrenceville, Pittsburgh, Allegheny, PA. She died in 1955 at Pittsburgh, Allegheny, PA.
Ann Considine was born in 1797 at Ireland. She married Patrick Shea. Ann Considine died on 27 February 1884 at Allegheny, Allegheny, PA. She was buried in 1885 at St. Mary's Cemetery, Lawrenceville, Pittsburgh, Allegheny, PA.
Daniel John Sheedy was born on 9 July 1862 at Boston, Suffolk, MA. He was baptized on 10 July 1862 at Sts. Peter & Paul Church, Boston, Suffolk, MA. He married Margaret Carroll, daughter of John Carroll and Margaret ( ) Carroll, on 14 February 1893 at Allegheny, Allegheny, PA. Daniel John Sheedy was CENSUS 1900 in 1900. (an unknown value). He died on 17 August 1944 at Butler, Butler, PA, at age 82. He was buried after 17 August 1944 at Calvary, Butler, PA.
Mary Ann Josephine Sheedy was born on 31 July 1870 at Allegheny, Allegheny, PA. She was baptized on 7 August 1870 at St. Andrews, Northside, Allegheny, PA. She died on 22 December 1891 at Allegheny, Allegheny, PA, at age 21. She was buried after 22 December 1891 at St. Mary's Cemetery, Lawrenceville, Pittsburgh, Allegheny, PA.
Annie Brennan was born in March 1880 at PA. She married Glenn Morehead. Annie Brennan died in January 1968 at age 87. She was buried at North Side Catholic Cemetery, Pittsburgh, Allegheny, PA.
Glenn Morehead was born circa 1875. He married Annie Brennan, daughter of William P. Brennan Jr. and Anna or Annie Markey. Glenn Morehead died in 1966. He was buried at North Side Catholic Cemetery, Pittsburgh, Allegheny, PA.
James Patrick Murray was born in 1872 at PA. He married Katherine Alysius O'Donnell, daughter of Catherine ( ) Murray, circa 1901.